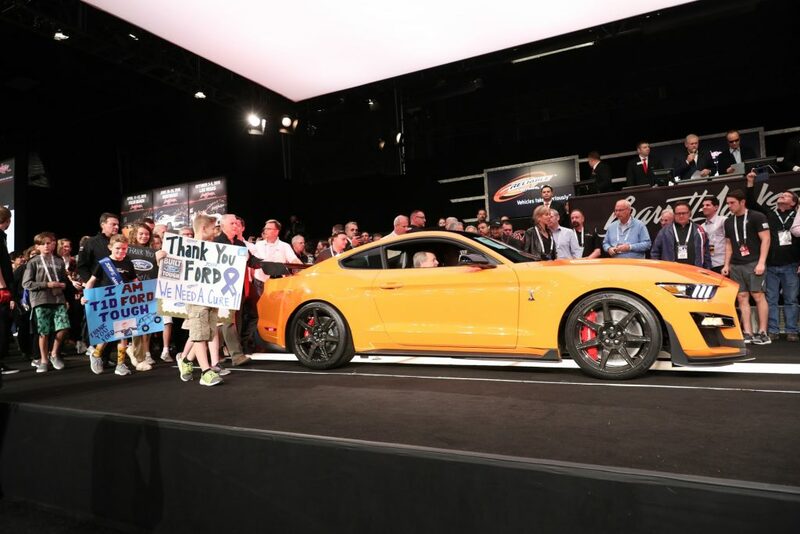 The very first model of the most powerful factory Mustang ever was auctioned tonight for USD$1.1 million as it goes for the famed muscle car’s biggest win ever – trying to help researchers cure children with type 1 diabetes. Craig Jackson, chairman and CEO of Barrett-Jackson, was the winning bidder. The very first model of the most powerful factory Mustang ever was auctioned for $1.1 million as it goes for the famed muscle car’s biggest win ever – trying to help researchers cure children with type 1 diabetes. Craig Jackson, chairman and CEO of Barrett-Jackson, was the winning bidder.